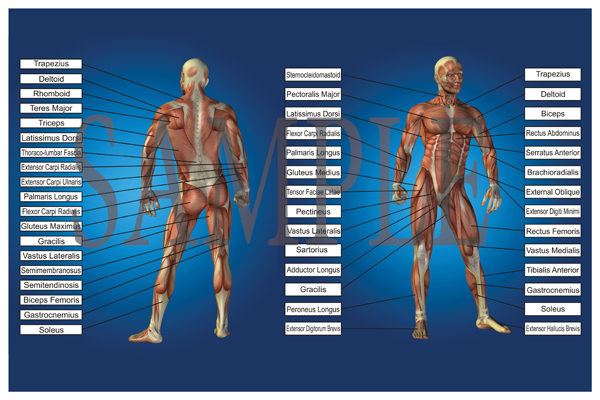 Super cool muscles chart with labels of the major muscles. Perfect for any health care practitioner, fitness trainer of massage therapist. Slow printed on quality stock, this poster while anatomically correct, is more like a work of art. All this quality for only $79. Perfect for framing in a standard poster frame. Click the button below to add the Muscle Chart with Labels to your wish list.